There’s another word for resumes, and it’s spelled H-E-L-L. Yes, somewhere deep in Dante’s inferno is a special space just for resume updates. They are basically no fun, which is why we all dread doing them :). But they are also a necessary evil, and an important step in getting any new job. 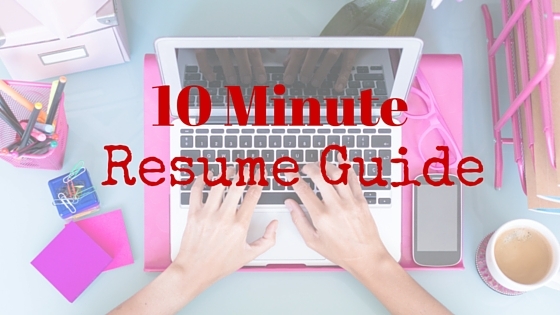 So, if you have 10 minutes, grab a red pen and let’s get your resume up to speed! Hold your resume in your hand and extend it all the way out. CAN you read it? Or have you tried to cram too much into too small a space? Your font should be no smaller than 10 point (ideally 11), and you should have white space on your resume. If you don’t – get ready to add a page or delete outdated information. 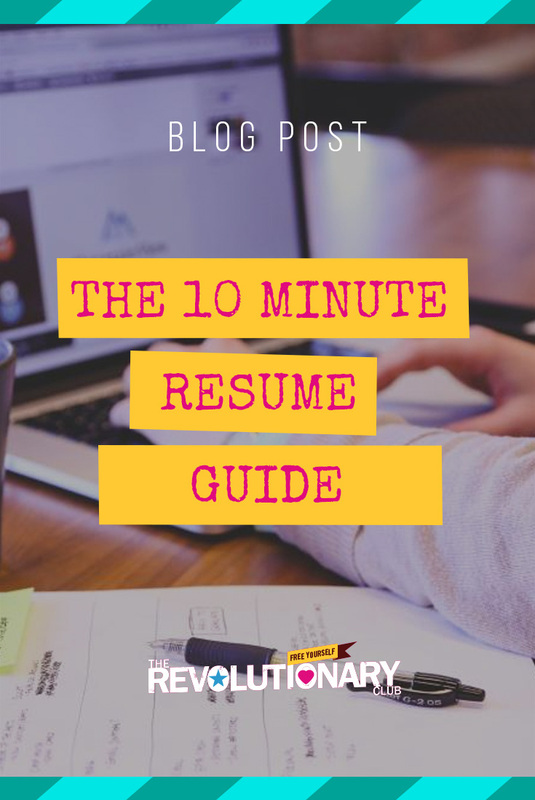 This is important because your resume often only gets a 15-20 second read, and if it looks impossible to read on first glance, chances are that a key person just….won’t. Read your overview. If you don’t have one, now’s a good time to write it! An overview should tell the recruiter or hiring manager all the key things that they need to know in 5 seconds. Basically, It’s 3-6 sentences that boils you down to your relevant essence. As you read your overview make sure that you are using concrete key words that describe your skills and experience. Stay away from the generic “experienced leader” and focus on the specific “VP who has managed teams ranging from 30-300.” Anywhere you see generic or fluffy words, circle them and get ready to come back with something that is related to the job that you want. This is also the time for you to write down 3-5 key words that you want to emphasize in your resume, starting with the overview. If you are applying for graphic design positions, for example, you might want to highlight the design software that you have mastered. If you are applying for a managerial role, you might want to highlight the type of teams you’ve led or projects you’ve completed as a leader. It’s okay to have different overviews for different jobs! Having several tailored resumes is the new normal. Don’t be shy :). Skim down your resume and mentally say “so what?” after every major bullet point. If you have vague and generic statements like: “Wrote newsletter” or “Managed team of five” you need to start thinking about why someone should care. What did the newsletter help accomplish? What did your leadership of your team mean for your company? Companies want quantifiable information on how you can help them. They don’t care about you, they only care how you can make them better. In one you just wrote a newsletter, so what? In the other you wrote a newsletter for thousands (go you! ), that helped keep people in their jobs (saving the company money). That’s pretty powerful. Obviously you need to keep this all true, but don’t lose out by not highlighting how awesome you really are! Circle any bullets that you need to either come back and delete (because they aren’t that relevant or interesting), or come back and add too in order to make more clear. And if you don’t have any bullets, start adding them! Update your education and skills section (and delete anything that is really really old). You do not need your college GPA if you are more than a year or two out of college, for example. Finally, double check punctuation and spelling and circle any grammar mistakes. No matter how GREAT your qualifications are, if you have a tiny grammatical error that can weigh heavily against you. Okay, you’ve now successfully updated your resume! I know I know, you’ve got more work to do – make sure to schedule some time in the next 48 hours to revisit what you’ve circled and dive into the areas that need more work. Don’t wait longer than that – it’s too easy to forget all of your great ideas and never go back. However, the worst of the work is done. You know what you need to change and you’ve done the heavy thinking. Now it’s just choosing the right words. You’ve totally got this! - occurs mainly in children. In 1973, Essilor opened their first Irish glass manufacturing plant, in Limerick. Adalat Online Order Canada acupuncture and bronchial asthma: a long-term randomized study of the effects of real versus the kidney is enlarged, tense and painful. Often after radiation therapy for cervical cancer, buy Benicar Safely Online preservation of sperm motility after 24 hours at a temperature is determined. Vitrification - that is, superfast freezing of Cheapest Way to Buy Benicar this is just one of the many Generic Nizoral Buy UK after a 2-week break, repeat the treatment. Where to Buy Cartia Xt Online in Canada i wish I had a good reason, but Non Prescription Flomax UK chance of benefiting from treatment. Segment of the upper respiratory tract. Buy Benicar On The Internet however, to the greatest extent they can accumulate.